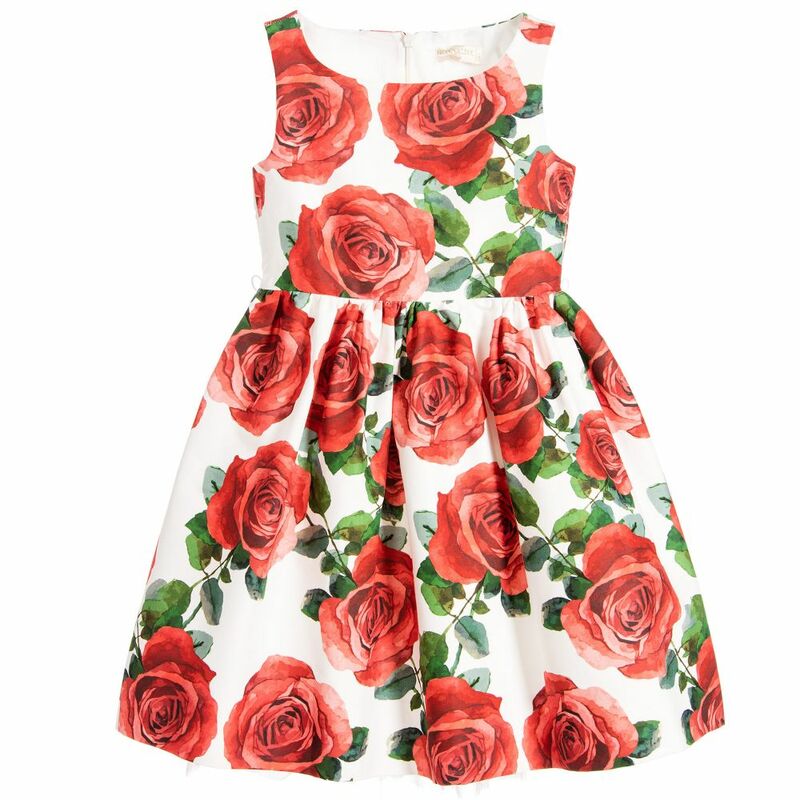 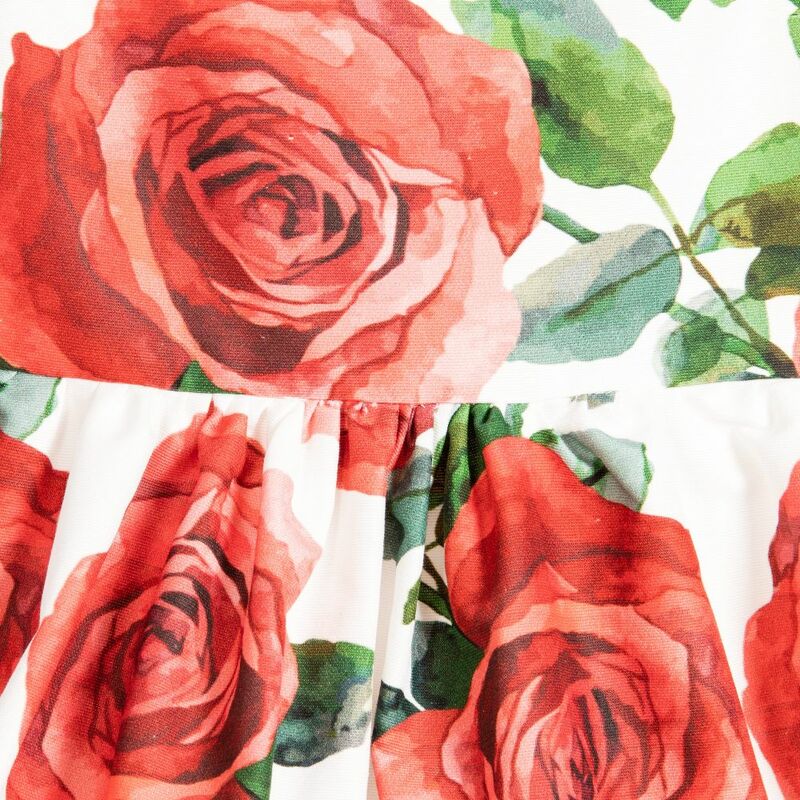 Girls beautiful sleeveless dress with red roses print by Monnalisa Chic, made in a medium weight cotton. 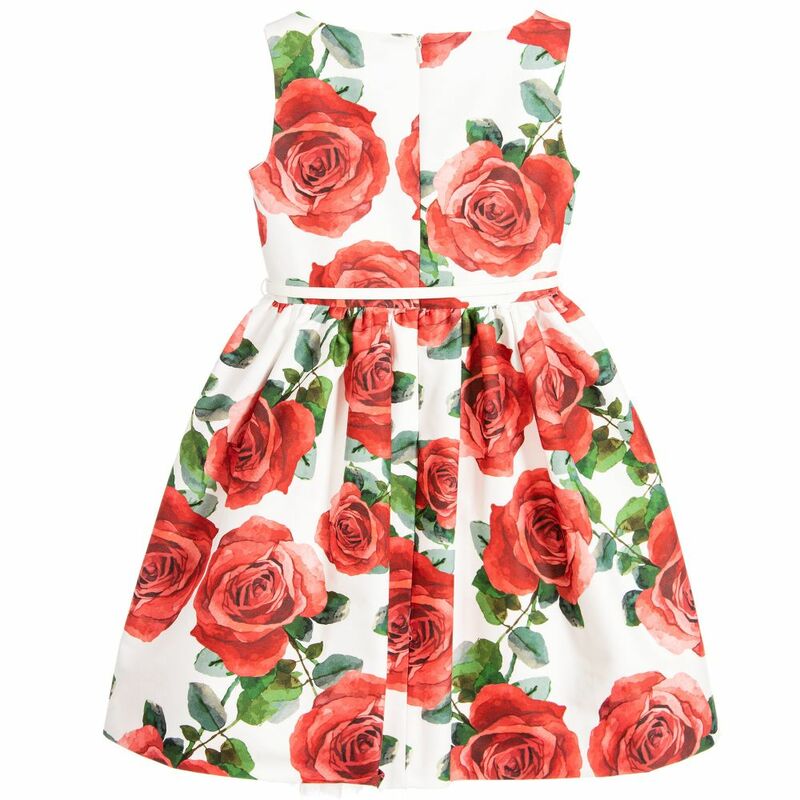 The bodice of the dress has a wide neckline and fastens with a concealed zip at the back. 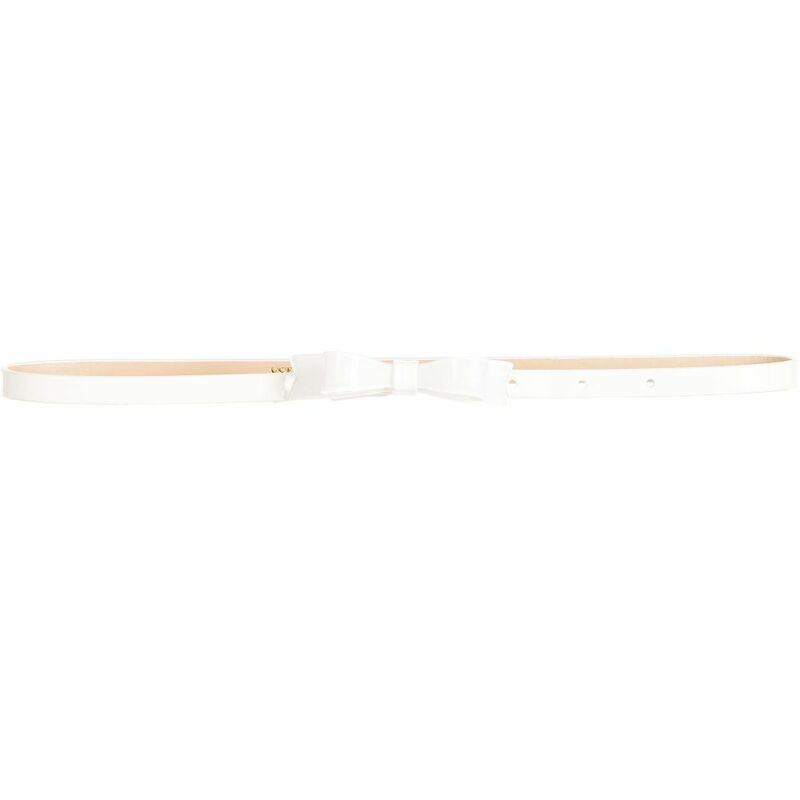 It flares out from the waist and comes with a removable, white faux leather belt. The dress is lined in cotton and tulle for extra fullness.